Develop specific business opportunities within the petrochemical, oil and gas sectors for Tecnichem. Development of specific business opportunities within the Petrochemical, oil & gas sectors that positions the company as a market leader in the Engineering field. The job Holder reports to Commercial & Business Development Director. 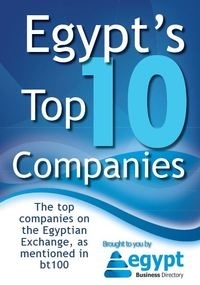 •	Develop & implement strategies for exploring new business opportunities. •	Continuously identify new project opportunities that allow the company to meet the defined targets. •	Define & follow up yearly targets & objectives, as well as preparing the annual business development plan & the annual work plan. •	Ensuring all Business Development activities are implemented with best practices across company services. •	Develop strong day to day relationships with business counterparts i.e. clients, partners….etc which entails close follow up. •	Track, analyze & communicate key quantitative metrics & trends. •	Work with the other company functions to develop & deploy tracking & reporting about the progress on opportunities. •	Increase the company’s involvement with existing clients. •	Develop & deliver the business plans through carrying out research, formulate market analysis & deliver accurate business reports. •	Serve as a lead facilitator both internally & externally for projects from the business development arena. •	Proactively hunt for target organizations & establish communications with those businesses that can benefit from Tecnichem services. •	Forecast long & short range Market potential for management analysis. •	Preparing & updating the company pre-qualification documents. •	15 years experience, out of which 5 years in same position, preferably with relevant experience in similar industry. •	A proactive self starter who can operate both individually and as part of a team. •	High commercial acumen & a record of confidence dealing with middle managers through to decision makers. •	Strong analytics; must be able to execute on complex deal structures with multiple variables. •	Must be energetic, self starter, capable for helping a small company reach the next level. •	Strong marketing & relationship management is important.